Last summer a group of fans including the team who run the fan club were going out for a Mad Day Out exploring Beatles locations. Just days before our membership secretary had randomly met a man in Marylebone Station who had been asking questions about the Beatles' connection with the station. She discovered this man, Christian Swain, was doing research of a podcast for The Rock and Roll Archeology Project and she invited him and his partner Amy to join us on our planned Mad Day Out. They did join us and and late in the day they also interviewed us each about our personal discovery of the Beatles and the impact to our lives. Fast forward 6 months and the excellent podcast is on the air and he has reached the Beatles in his timeline. We highly recommend this podcast about the history of Rock and Roll and we are very proud that some of our comments from those interviews are included in episode 8 which was just released. Visit their homepage to list to all the episodes. 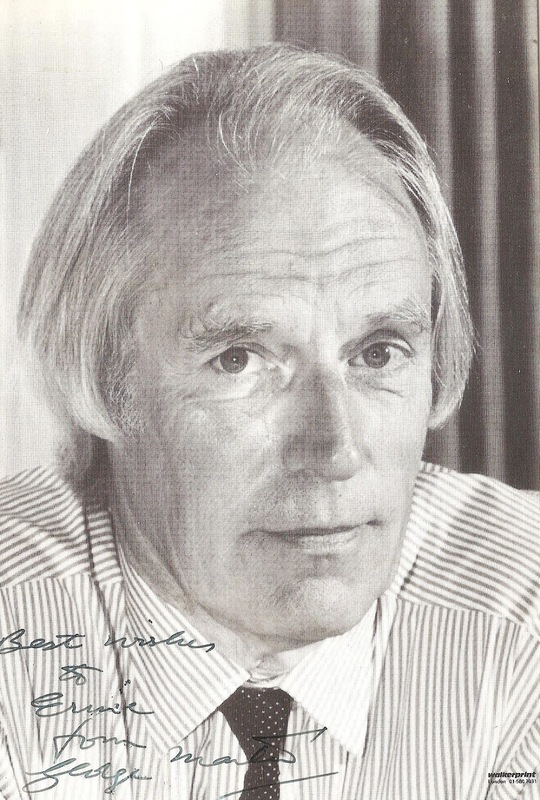 Sir George Martin sadly passed away on March 8th 2016, and we at the British Beatles Fan Club would like to pay our own tribute to the man who gave us The Fab Four. Indeed if anyone should be known as the Fifth Beatle it should be Sir George, who performed on many of their records and gave them the opportunity to experiment. George was born on 3rd January 1926 in North London, and after gaining a scholarship at St Ignatius College the family moved to Kent when World War Two broke out. At Bromley Grammar School he heard the London Symphony Orchestra with Sir Adrian Boult and from that moment music was his life.After the war, he attended the Guildhall School of Music and eventually found himself as head of a little known EMI label called Parlophone. Known more as a comedy label, Martin worked on songs such as “Nellie the Elephant”, “Right Said Fred” and “Goodness Gracious Me”, the latter recorded by Sophia Loren and Peter Sellers. His classical skills weren’t forgotten either and one of his most famous productions was the theme to “633 Squadron”. By the 1950’s he found himself working with The Goons and in 1962 auditioned an unknown band from Liverpool, who had been rejected by virtually everyone. Whilst George admitted in interviews, the tape he heard (known as the Decca audition) wasn’t that great, but on meeting them he immediately liked them as people. Famously during that first meeting he asked the band if there was anything they didn’t like. George Harrison cheekily said “Yeah I don’t like your tie”. This was a huge risk, but George Martin liked the humour and gave them a chance. That band, The Beatles, would go on to make some of the greatest records of the 20th Century. George was in demand and worked with Shirley Bassey, Matt Monro, Cilla Black, Gerry and the Pacemakers and Billy J Kramer, to name just a few. His musical score for “A Hard Day’s Night” won an academy award, and he went on to score for the films “Help!” and “Yellow Submarine”. He gave The Beatles new areas of music to work in, arranging the strings for “Yesterday” and introducing Paul to the piccolo during the recording of “Penny Lane”. By 1967 The Beatles had stopped touring and George became even more important to their work in the studio. Whilst making “Strawberry Fields”, John Lennon wanted two takes combined, which were at different tempos and speeds. George Martin explained the predicament to Lennon who replied “I’m sure you can fix it”. He did and “Strawberry Fields” became one of The Beatles greatest songs. His work on the “Sgt Pepper” album cannot be underestimated. Music was moving into a new direction and Martin was happy to help The Beatles develop new recording techniques which paved the way for later artists. By 1970 The Beatles were breaking up, and their final album “let it be” would be credited to Phil Spector, much to Martin’s annoyance as he had produced the original takes that Spector used. Eve his wish for a joint production of Martin/Spector fell on deaf ears at EMI. In the late 1970’s he founded a studio on the isle of Montserrat used by Paul McCartney , The Rolling Stones and Dire Straits. He continued to work with Paul McCartney and Ringo Starr, and I was fortunate to meet him at the making of the video for “Take it Away” in June 1982. He was very quietly spoken and very humble,and came across as a gentleman. It was a privilege to be in his company. He also founded his own studio in the UK. Air Studios still functions today in North London. In 1995 he was reunited with Paul, George and Ringo to work on the Anthology. In 1996 he received a knighthood from the queen and following the tragic death of Princess Diana produced Elton John’s “Candle in the Wind”. This became a number one hit and was Martin’s 30th as a producer, a record unmatched by anyone else. His 6 CD set “Produced by George Martin 50 years in music” is a tribute to his great work. The Beatles “Love” in Las Vegas, saw The Beatles catalogue being remixed and he worked with his son Giles on this project. In later years he suffered with his hearing and did a lot of charity work for “Deafness Research”, and a few years ago some of us from the Fan Club attended an auction he held in London which included a music score of “Yesterday” signed by George and Paul McCartney, as well as a drum skin signed by Ringo Starr, at a time when Ringo had previously announced he was no longer signing autographs. Indeed it was Ringo who broke the news via Twitter of George’s passing. His legacy will live on and our thoughts are with his wife Judy daughter Lucy and son Giles at this time. Thank you George. It was you who gave the world The Beatles and much more. Love from all at the British Beatles Fan Club.